We are now all aware of the energy-saving impact of switching to LED lighting, but there is far more to LED than first meets the eye. In a recent Nature “Perspectives” article, researcher Jeff Tsao outlines the concept of “engineered light” and how we are just on the verge of understanding the true power of LED. 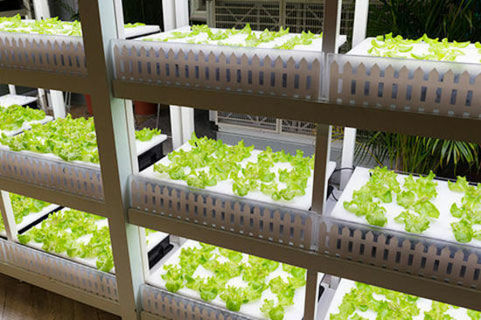 In addition, he goes on to say, LED lighting can be tailored to radically affect the growth, shape and nutritional value of plants which creates a new world of scientific and technological possibilities for indoor farming. When we add to this the possibilities offered by integrating LED into the internet of things, only then are we touching the tip of the iceberg in terms of what LED can offer. LEDs for photons, physiology and food. Engineered light could improve health, food, suggests researcher.